Should your child enjoy swimming? The short answer to whether to continue with swimming lessons is YES! So long as there is a routine and structure to your child’s swimming lessons, then your child will be gaining important lessons about swimming, water safety, coordination, socialisation and interaction as well as many other character building traits which are important to becoming an independent, resourceful and functioning small human! And of course, they are learning to swim in all of this amazing and massive learning curve! At the end of the day, if we provide an environment where your child must focus on the matter at hand (ie confronting their swimming teacher and the swim lesson) and if we eliminate all other distractions (such as mum or dad or a loved one), then we give your child every opportunity to focus on whatever is happening in their lesson…. If you are a parent who feels this may sound on the verge of harshness, we ask you this… are your child’s swim teacher’s intentions to make your child miserable? Or are they trying to persuade your child to join a lesson which could be nurturing, fun, exciting and full of learning great stuff! 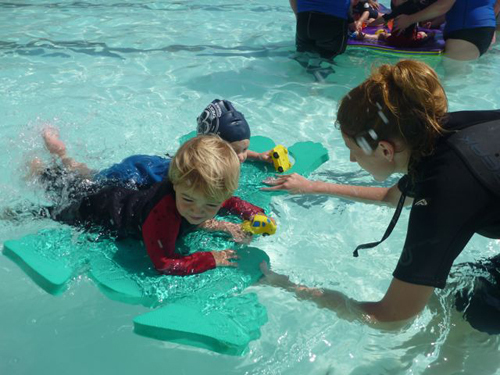 Swimming lessons shouldn’t be a choice, it’s an essential skill! 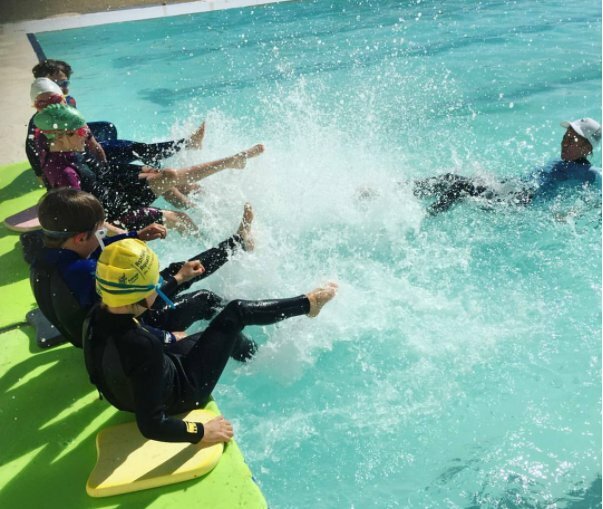 And don’t forget, all this is intended with the view to helping your child learn to swim which is a life saving skill that your child might need one day in order to preserve their life, as well as develop their physical, emotional and intellectual abilities. Lastly, the more comfortable and confident your child is in the water the more likely they will enjoy it and become good at swimming! – this only comes by continuing to attend frequent swimming lessons!